CGP Coating Innovation is an international partner, determinedly focused on innovation. CGP EXPERT has a packaging engineering department, a mechanical properties testing laboratory, and a test center for simulating the behavior of our products in real conditions. 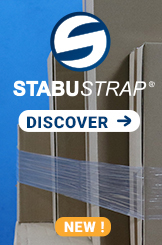 Our Technical Center tests, develops and validates optimal packaging, stabilization and protection solutions for your products in real conditions (transport simulator). 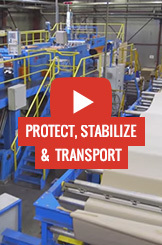 CGP COATING INNOVATION develops innovative solutions to assist its customers in the optimization of palletizing lines, with EXCALIBUR, an automatic cutting tool that can be integrated into the line to ensure efficient implementation of slip sheets.